Bangkok, Thailand, 1 September 2015 - The Federation of Thai Industries (FTI) anticipates that the export rate of Thailand’s beauty market will rise 4%, to reach 7.87 trillion baht, and healthcare product will grow 5%. 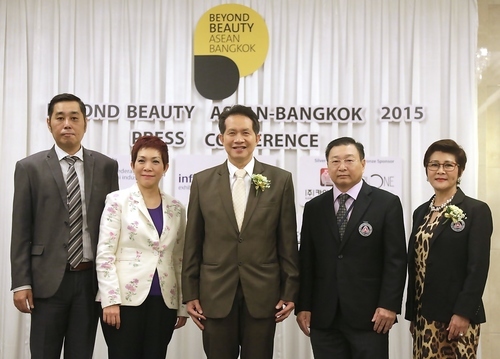 Cosmetics Industry Club, FTI, will be hosting the 2nd edition of Beyond Beauty ASEAN–Bangkok 2015 (BBAB2015) as ASEAN’s most comprehensive trade platform in beauty industry. Besides boosting ASEAN’s trade, BBAB 2015 aimsto support the expanding beauty market. Beyond Beauty ASEAN – Bangkok 2015 is scheduled to take place during 24 – 26 September 2015 at Hall 5-6, IMPACT Exhibition and Convention Center. “It is an honor to be one of Beyond Beauty ASEAN–Bangkok 2015 supporters. The exhibition is considered as a gateway for international companies wishing to do a business in Southeast Asia, the world’s fastest growing economic region. TCEB is confident that the event will attract numerous international businesspeople which contribute to a remarkable growth in the tourism and transportation sectors”, said Ms Supawan Teerarat, Vice President, Strategic and Business Development, Thailand Convention and Exhibition Bureau (TCEB). “We have promoted Beyond Beauty ASEAN–Bangkok 2015 in Thailand and foreign countries such as Malaysia, Philippines, Myanmar, China and United Arab Emirates to attract more visitors. This year, there are over 350 exhibiting companies over an exhibit area of 10,000 sqm. 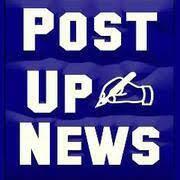 We are expecting to welcome more than 10,000 visitors. Exciting show attractions such as workshops and seminars will add to the learning atmosphere of BBAB 2015. More importantly, IMPACT has prepared security measures to ensure everybody’s safety in the venue”, said Mr Loy Joon How, General Manager, IMPACT Exhibition Management Co., Ltd.
With the creation of the INFORMA BEAUTY cluster, Informa has reinforced its strong presence and leading position in the global Beauty events market, creating a powerful network of Beauty events globally. The Informa Beauty portfolio includes China Beauty Expo, Cosmeeting and Creative Beauty Paris, Spameeting and Cosmeeting Business Meetings and Beyond Beauty Asean. Informa Beauty’s events span the full spectrum of the Beauty sector, including Packaging, Contract Manufacturing, Ingredients, Full Service, Nutricosmetics, Fragrances (both ingredients and finished products), Wellness & Spa, Hairstyling and Healthcare, catering to the mass market and the luxury sector. IMPACT Exhibition Management Co., Ltd. is the leading exhibition organizer in Thailand. IMPACT organizes and manages professional trade and public exhibitions, conferences, meetings and trainings, working in hand with international trade associations, organizers and corporations across a board spectrum of industries. We create effective market platforms and offer a comprehensive range of turn-key event management solutions ranging from market research, exhibition and visitor promotion and sales, advertising and promotion, public relations, operation to on-site logistic management for exhibitions and conferences of all sizes and industries.For more information, please visit www.impact.co.th.